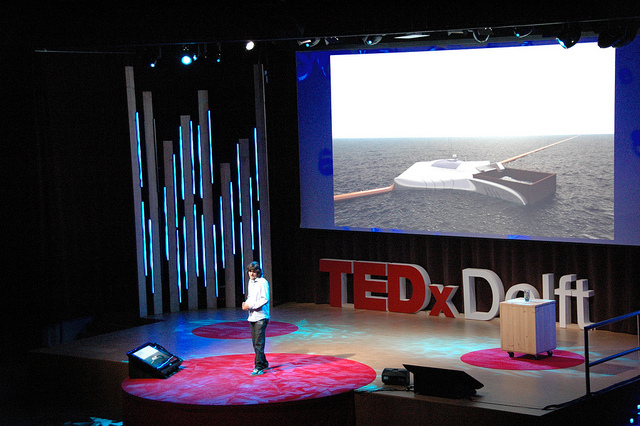 You are here: Home / News / TEDxDelft 2012 / TEDxDelft 2012 | Boyan Slat: The Marine Litter Extraction Project. 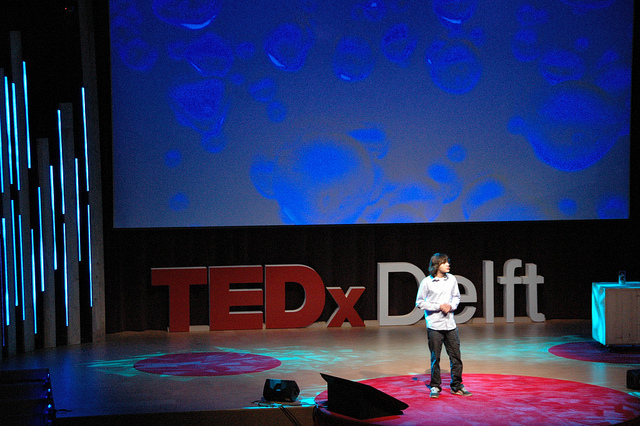 TEDxDelft 2012 | Boyan Slat: The Marine Litter Extraction Project. Boyan was always interested in sea life. While diving and making underwater pictures and videos, he saw the evidence of plastic pollution in the ocean upclose. As he was diving in Greece with a friend, he saw more plastic than fish. A disturbing realization, to say the least. For a school project he started to investigate how to clean the oceans, the gyres to be specific: five oceanic currents with the highest amount of plastic pollution. This school project evolved into a plan, and that’s what he presents now: The Marine Litter Extraction Project. The impressive marine plastic cleaning concept, shown beautifully on Boyan’s website, consists of booms that move and that clean the plastic debris out of the water. The booms Boyan proposes will be used for the ocean’s cleaning would be able to run on natural energy (sun, currents and waves) and the bycatch rate will be almost zero. It does not only tackle some main challenges like the fact that plastic moves on the currents and that such a plan needs to financially realistic, his plan might actually be profitable when the plastic retrieved is sold! And another stunning aspect of this plan is this: It has been estimated that by current methods it will take us 79000 years to clean the oceans. With Boyan’s plan it will take 5. Just think of what an important impact this might have on our environment. https://www.tedxdelft.nl/wp-content/uploads/2016/02/TEDxDelftLogoWebsite.jpg 0 0 LianneKeemink https://www.tedxdelft.nl/wp-content/uploads/2016/02/TEDxDelftLogoWebsite.jpg LianneKeemink2012-10-05 09:22:002015-08-01 05:20:27TEDxDelft 2012 | Boyan Slat: The Marine Litter Extraction Project. TEDxDelft 2012 | Space blog: Life on Mars TEDxDelft 2012 | Why blend in if you can stand out?